Discover 36 Fundamental Drills For Developing a Top-Notch Youth Hockey Team! 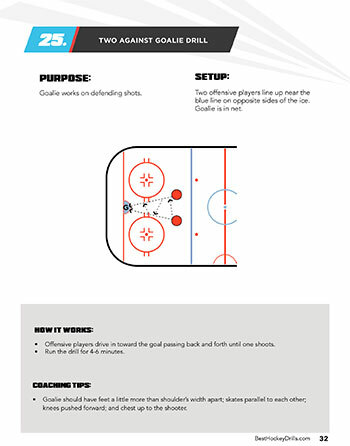 Engage Your Players, Improve Their Skills, and Win More Hockey Games Starting Today! 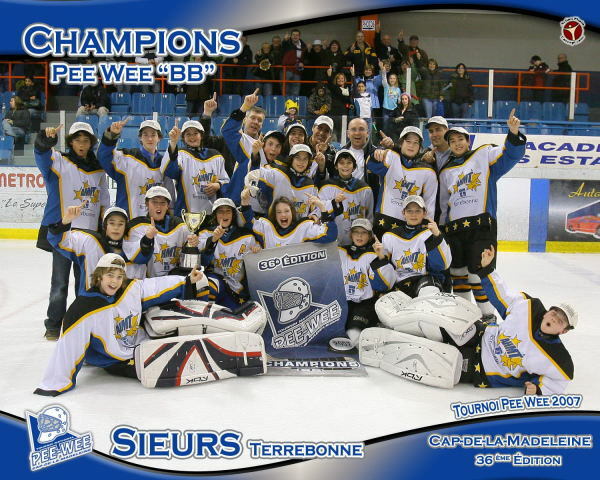 As a fellow coach, I understand how fun and rewarding coaching a youth hockey team can be. But I also understand how challenging it is. Like most teams, you've probably got a wide range of skill levels, maturity levels, and commitment levels. 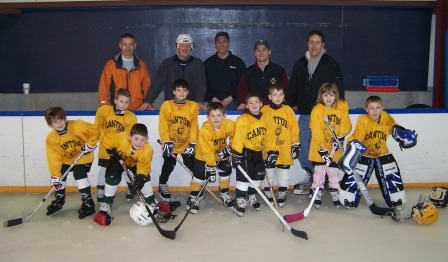 Some kids who've been playing all their lives... and others who are stepping onto the ice for the first time. Trying to put together an effective practice that develops fundamental skills, while keeping ALL the kids having fun and engaged? So if you're having a hard time figuring out what drills to run in practice and how to run them, please don't worry. The Internet is filled with unqualified hockey "experts" giving out terrible advice. Out-dated drills and coaching techniques that can actually make your kids play WORSE. Then there's those big, fancy, coaching clinics and seminars, which usually deliver good info, but cost an arm and a leg to attend, and take up your entire weekend. It's no wonder that so many coaches are exasperated and confused. You're the coach. People expect you to know this stuff. And the pressure is on. Your players are desperate to improve their skills, and they need your help. And your competition is ready to jump all over your weaknesses, and crush your team 12-0 if you give them the chance. The good news is - learning the art and science of coaching hockey isn't as hard as it looks. The key is finding the tried and true methods that expert coaches have already figured out for you. 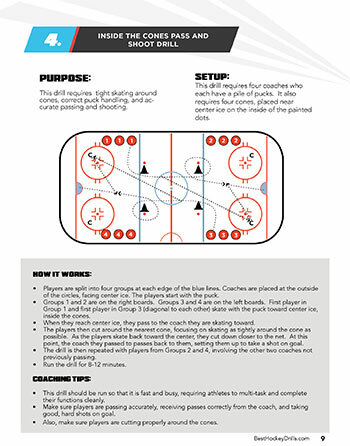 We created the Essential Hockey Skills and Drills eBook with youth hockey coaches in mind. It's jam-packed with 35 unique and EFFECTIVE developmental drills for ages 6-18. Everything you need for a full season of practices. From stickhandling, to skating, passing, shooting, defense, goaltending, power play and penalty killing. Each drill is broken down with simple step by step instructions, illustrations and diagrams. It's easy to learn. And simple to teach. So you can download the eBook today and start using these drills TONIGHT (even if you're new to coaching). To start, you'll get instant access to 10 game-tested drills that combine passing, receiving and shooting. You'll quickly strengthen your team's playmaking skills, boost your offense, and teach your kids how to consistently put the puck into the back of the net. Next, you'll learn 9 brand new drills to help your kids develop top notch stickhandling and puck control skills. So they can possess the puck with confidence, create more scoring opportunities and win more games! We've also included 4 drills designed specifically for your rearguard, and 2 goalie drills that will put your goalies' skills to the test. Shut down your opponents and start winning more games! You'll also discover 6 fun and effective breakout drills, designed to help your team move the puck up the ice quickly and transition in the neutral zone. 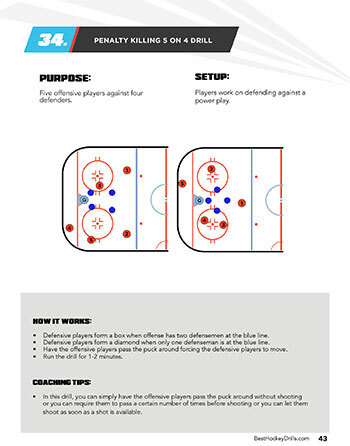 Last, but not least, we've included 5 drills for power play, penalty kill and faceoffs. 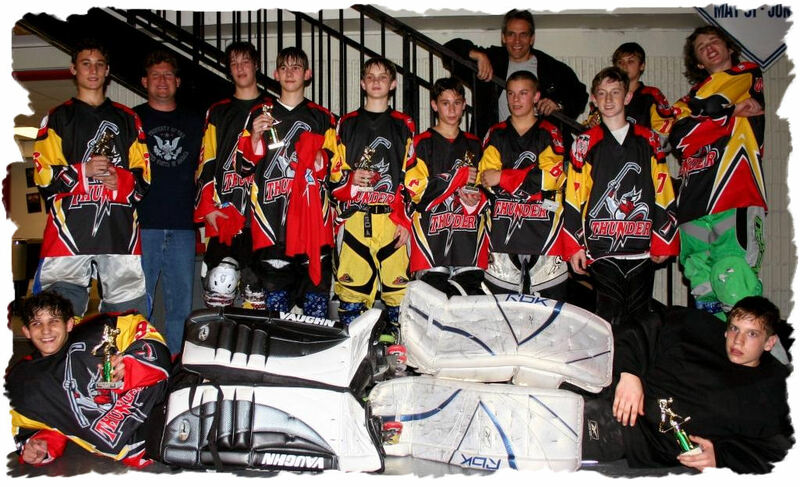 Designed to give your kids the edge on the ice, out-smart, and out-execute your competition! 34 Wins and 15 Losses! Your system showed me how much time to allow for different drills so I could keep the interest of the kids. 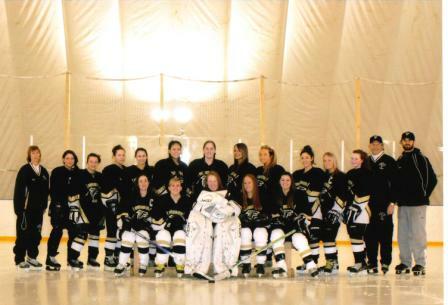 In a 52 game season we had 34 wins 15 losses and 3 overtime losses. Amazing! Your system allowed me to pick & choose drills to fit my team. 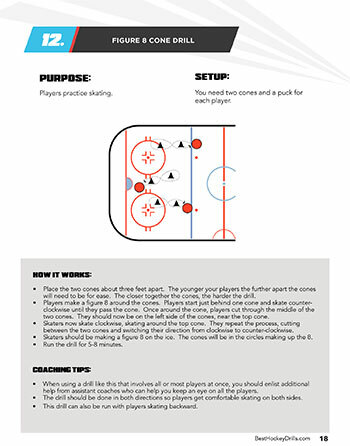 The practice plans helped organize my ice time and avoid wasting time standing around and thinking. Your system keeps me organized and limits the amount of time spent per drill so that players don't get bored. The improvements between last year and this year were dramatic! Helped Me Win a Provincial Championship! We improved our breakout and team chemistry using the drills in the book. Your system will help coaches get organized FAST! Using your system, we went 16-4! The plans broke down everything into age appropriate drills and provided new ideas to keep everything fresh. Sure, I've been studying hockey skill development for a long time - but I still consulted with EVERY coaching expert I knew, personally tried and tested dozens of different drills with my own teams, then added my own personal experiences to develop this system. I've pulled together in one simple collection the most essential hockey drills you need, to help your team dramatically improve their skills and win more games. The confidence you'll feel, skating onto the ice at your next practice, armed with an arsenal of creative hockey drills your players will love. The peace of mind you'll have, knowing your drills were tried, tested and proven by more than 11,587 coaches before you. The fun and satisfaction you'll experience, watching your players rapidly improve their skills and developing a love for the game that will last a lifetime! So if you're serious about becoming a better coach, and if you would like to instantly have a proven plan to develop top-notch stickhandling, skating, passing, shooting, defense, and tactical drills, click the Add to Cart button below now. Listen, I know that coaching youth hockey is loads of fun, but it's a lot of work too. And I've devoted my life to helping folks like you save time and energy, while experiencing more success with their teams. Anyone who won't invest $7 in this report isn't serious enough to follow this system anyway. Anyone who can afford to invest the price of a fast food dinner and take the time to learn these drills… can immediately and dramatically improve the skills of their hockey team. Guarantee #2 - If you actually follow these drills in practice and don't see an immediate improvement in the way your team plays, I'll actually refund TWICE your money. All I ask is that you give me an honest effort. It's just 45 pages. Short enough to read in one sitting. After you download the drills from our members area, you have our permission to print up to 5 additional copies to share with your coaching staff. 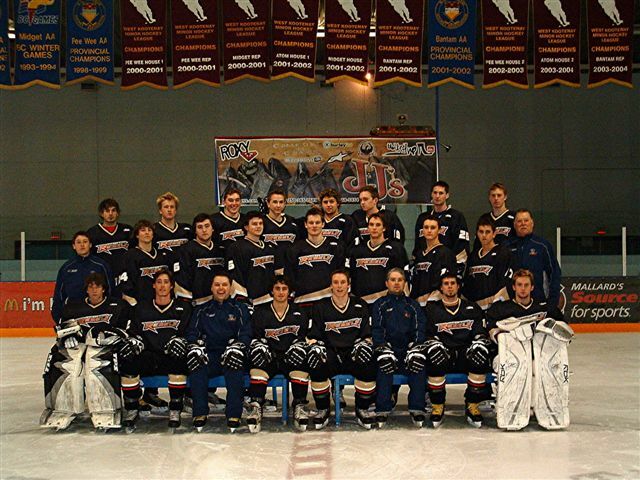 So you can streamline your practice planning and use your ice time more efficiently. Do you dread tryouts and player selection? Whether you coach a competitive team or a recreational "no-cut" team, this special report will teach you how to select the best possible players... without caving in to political pressure. This eBook is so essential I'm practically giving it away because I want to make sure you take the simple steps to becoming a master coach, and start seeing the results right away. Click the Add to Cart button below to get instant access to Essential Hockey Skills and Drills Risk Free for just $7. YES, I want in! I want access to the Essential Hockey Skills and Drills eBook. Please give me INSTANT access to this step by step program right now! We've already done the research... spent the time filtering out what doesn't work… and compiling it all into this incredible "best of" hockey drill collection. There's no need to waste your time searching the web for unproven ideas, or spend hundreds of dollars on coaching clinics. Just download Essential Hockey Skills and Drills and you'll get instant access to a complete training system you can start using today! 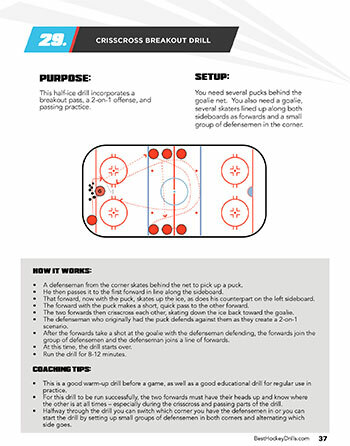 Essential Hockey Skills and Drills is designed for youth hockey players and teams age 6-18. It’s packed with fundamental drills for teaching the basics, along with more advanced techniques and tactics for experienced players. So no matter what level you coach at, you’ll find some new, unique ideas to boost your players’ skill level. Many of the drills in this collection can be done individually, with a partner, or with small or large groups of players. So it’s great for coaches to use during team practice… OR for parents or athletes who want to work on their skills at home. This package comes with a special “Double You’ll Love It” Guarantee. If for any reason, you think this report isn’t the best $7 you’ve ever spent, just send me an email within 60 days of purchase and I’ll gladly refund you the whole 7 dollars. If you actually use these drills in practice and they don’t work as well as I’ve promised I’ll actually refund TWICE your money. How do I access the drills? Is there anything to wait for in the mail? Essential Hockey Skills and Drills is an eBook delivered in PDF format. As soon as your order is securely processed, we’ll direct you into our members area, where you get instant access to all the material. You can download the file to your computers, save it to your mobile device, or just print out the pages you need and take them straight to the ice. 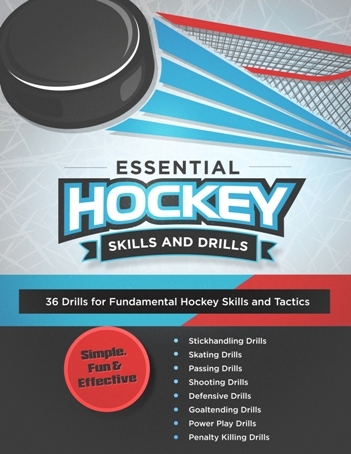 Hurry... Get Essential Hockey Skills and Drills Now! ... all for just $47.00 $19.95 $7. Click the Add to Cart button for INSTANT ACCESS!